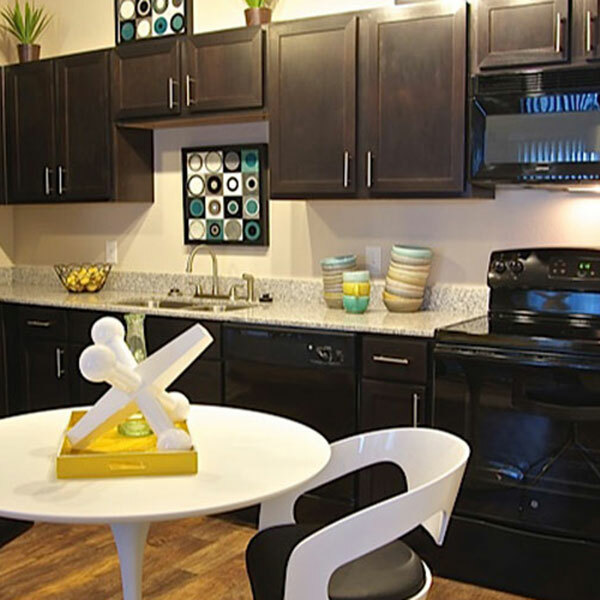 Lakewood is a modern, retro community which features beautifully refined spacious apartment homes with a collection of stunning amenities. 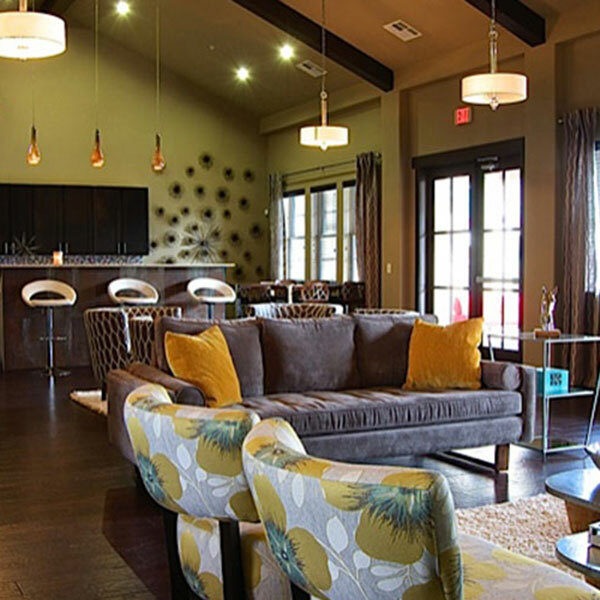 This is a master-planned development with 336 units in 11 buildings. All the apartment homes are meticulously designed with the comfort and convenience of residents in mind and offer residents a collection of stunning amenities which include granite counter tops with deep soaking under-mounted sinks with disposals in kitchen, espresso cabinets, oval garden tubs, ceramic tile bath surround, spacious walk-in closets, faux wood 2” blinds, high ceilings and faux wide plank wood floors. The garden-style layout surrounds an over-sized resort-style pool with cascading fountains, lush towering palms and water volleyball area. 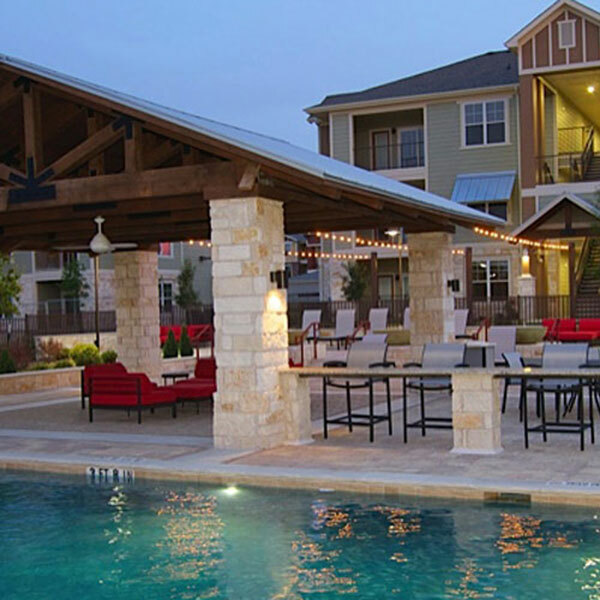 The pool-side aqua lounge features overstuffed seating, fireplace, stainless-steel gas barbecue grills and dining area. There are 84 covered carport parking spaces and 78 detached garages, as well as a full concrete paved parking lot. 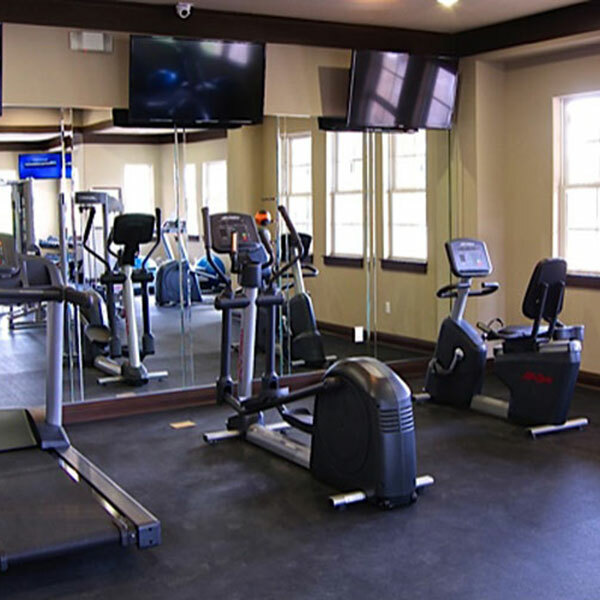 The 24-hour fitness facility has the latest cardio vascular and weight equipment and the business center has high-speed internet access, fax and copier. There are 20 units with fenced pet yards in addition to the shaded leash-free dog park.